I love to teach and I’m equally passionate teaching beginners as students preparing to become professional musicians. 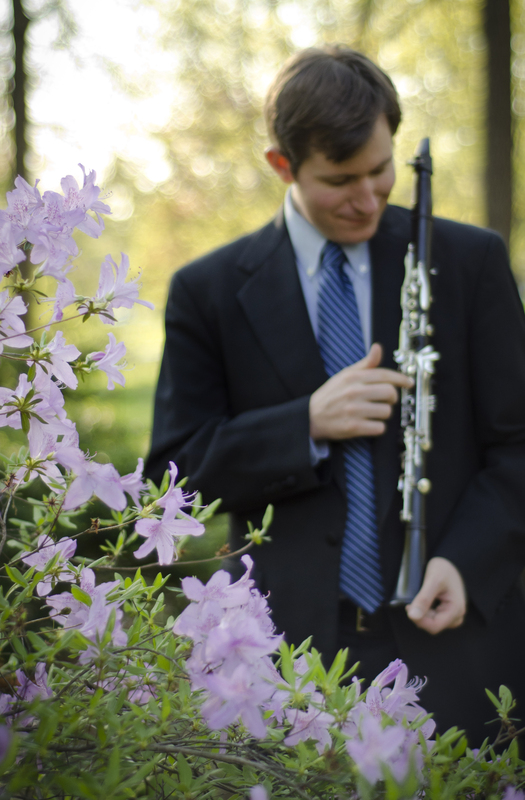 In addition to having studied extensively with some of the world’s leading clarinet teachers, I’ve taught privately and at schools in the US and Europe for over a decade. I also completed a 1600 hour training course to become a certified teacher of the Alexander Technique, which has had a profound influence on my performing and teaching. The Alexander Technique helps people to identify not only when they aren’t using their bodies well and the thinking that leads to this, but also how to help correct this misuse, leading to greater ease in whatever they’re doing. Certainly it’s possible to play the clarinet (or any instrument) at a high level in spite of some bad habits, but it will never feel as easy as it should and could prevent someone from reaching their potential through injury or a lack of balance and coordination. I want the lesson environment to always feel comfortable and foster mutual respect and trust, and even though I hold very high standards for my students, I want them to know I’m never going to lose my patience and yell at them if they make a mistake. What is most important to me is that students learn to love the process of learning and develop a lifelong love and appreciation of music! Please contact me with any questions or if you would like to set up a trial lesson. Please click HERE for rates and full studio policies. I do most of my teaching at my studio in West LA, a few blocks east of Santa Monica. When my schedule allows, I’m also happy to travel to students’ homes in surrounding areas to teach for an additional fee. For students who live in an area of the world where there is no teacher to work with regularly, Skype or FaceTime lessons can be a great option. All you need is a webcam and a fast, reliable internet connection.